Hi-Tech Vision – The best & reputed manufacturers of Digital, LED, & all kind of Metal Letters Chennai. It provides various varieties of Signages that enable manufacturers to more effectively communicate with consumers by using targeted & dynamic messages in real time. Increase the average deal per customer: Offer your customers with the right product and at right time. The interactive signage mode presents clients with highly enticing visible images of products that complement the products they have already bought. This LED Sign Boards in Chennai impress shoppers to purchase additional goods as they feel they are receiving an exclusive offer. By offering consumers products as a compliment on their original purchase to confirm your marketing strategy where you can immediately increase revenues in the sales. Optimize inventory mode: Promote or up-sale slow-moving products to free up worthy space in your store & storage. 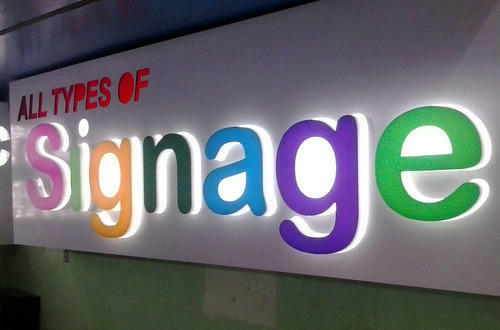 Advanced signages from Name Board Makers in Chennai allow you to process rules into your policy that will trigger information promoting those items that are more challenging to sell. A smart solution will give you maximized control covering your inventory usage, thereby permitting you to keep your inventory stocked in the way the best suits your business needs.